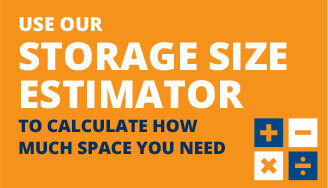 Determining Your Storage Space Needs is Easy with Our Size Estimator. 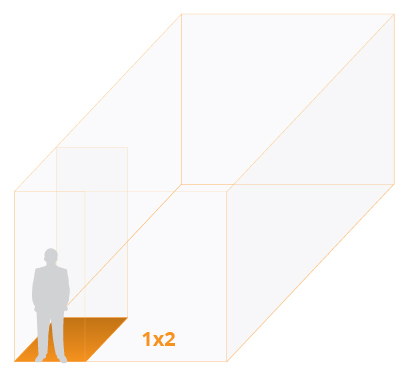 We’ve designed this storage room size estimator tool to help you to determine the size of space that will accommodate your storage needs. – An excellent option for storing the contents of a small closet (including clothing and personal items), a couch, a desk, or miscellaneous boxes. 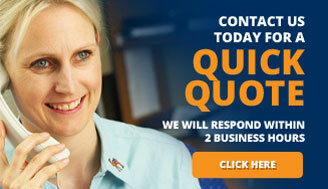 The perfect-sized space to accommodate 1–2 rooms’ worth of furniture and boxes. With space equivalent to about half of a standard garage, this unit is ideal for 2–3 rooms’ worth of furniture (including office furniture and supplies), miscellaneous boxes, and files. The larger footprint of this unit accommodates 3–4 rooms’ or units’ worth of furniture (including office furniture or household appliances), miscellaneous boxes, and files. 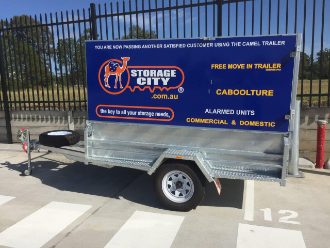 This space is equivalent to a standard, single-car garage, and is therefore ideal for small commercial operators looking to store retail goods or for consumers looking to store the contents of a 4–5 bedroom house.